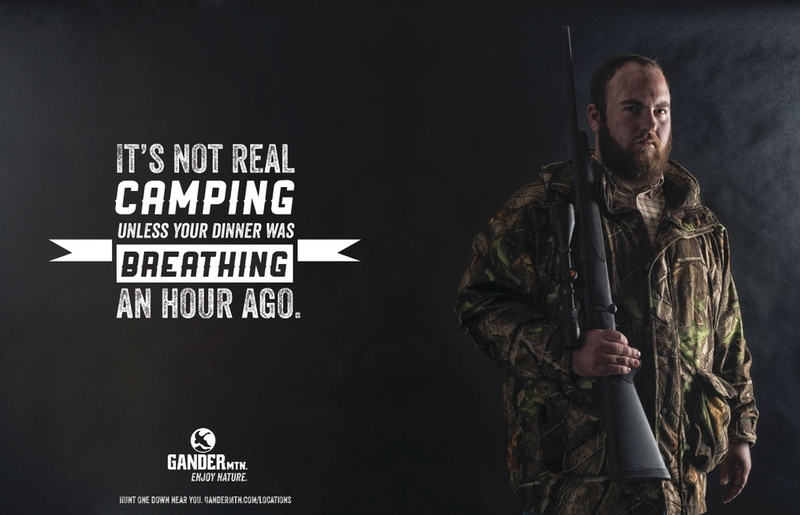 This campaign shows that Gander Mtn. is the only store for serious and staunch hunters. Targeting the ones who don't take the easy way out, and aren't afraid of getting down- n’-dirty. Using a satirical, yet, relatable approach, this campaign can be found humorous for those inside and outside the target market.